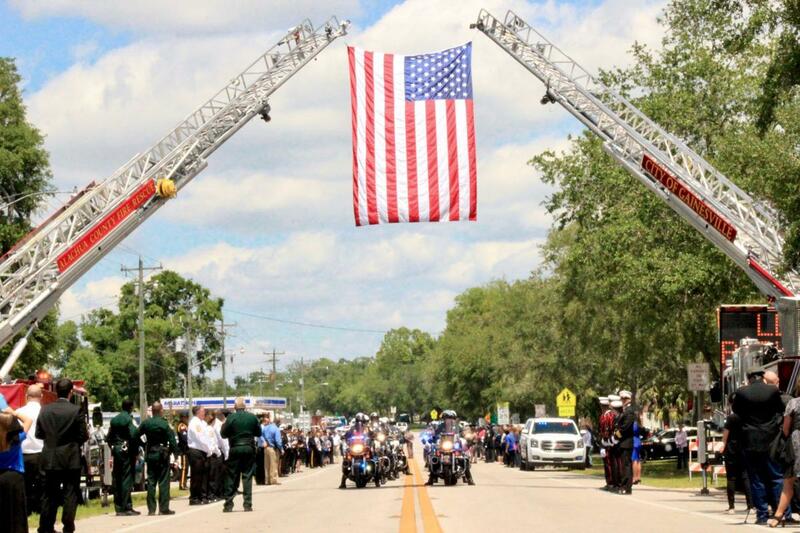 Yesterday was the funeral service for the two slain Gilchrist County Sheriff’s deputies-Noel Ramirez and Taylor Lindsey. It was held in the Bell Middle/High School auditorium. The two were ambushed while eating lunch at a local restaurant in Trenton, Florida last Thursday. Tagged as Acts 10:38, Great Verses of the Bible, Noel Ramirez, Taylor Lindsey.